Fortune Cookie Soap releases a new Soapbox each season. You'll receive eight brand new scents that have yet to hit their shelves. It's a box of preview minis. If you love soaps, baths and everything in between, you're gonna love this. 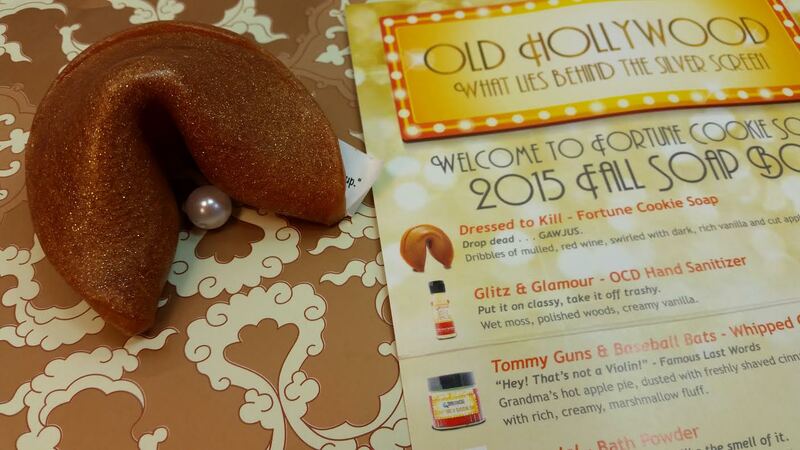 The theme this season is "Old Hollywood" and the names are correspondingly cheeky and perfect. Lucky for everyone in the world, they ship internationally. I believe the boxes are $28 for Canada and $34 for everywhere else. I will say that the contents are not technically worth that price unless you are in it for novelty value and want to spend the $10 coupon you receive even though shipping items from their shop will also be expensive. What You Get: Eight deluxe minis of the up-and-coming seasons collection before they hit the proverbial shelves. You'll also receive a $10 coupon code for spending in their shop. 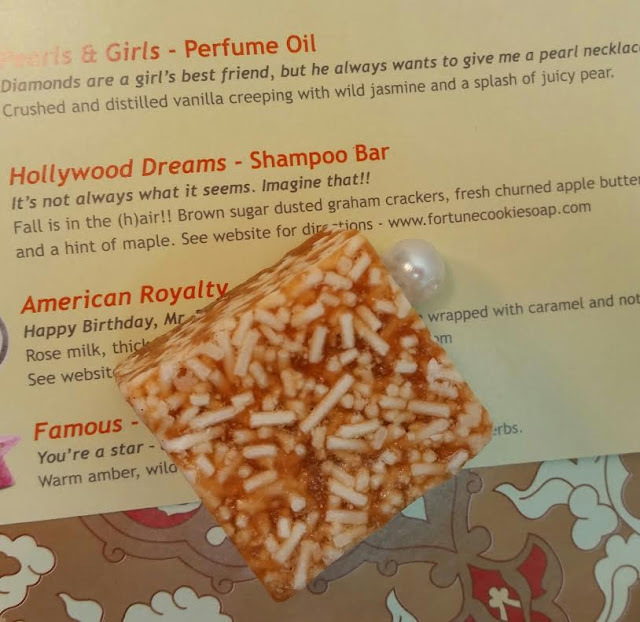 Fortune Cookie Soap in Dressed to Kill- The namesake product of Fortune Cookie Soap. These are super cute and make excellent gifts but are somewhat impractical to use. I suggest getting a soap sack because these turn to mush pretty quickly. The scent is red wine, vanilla and apples. In this form it's a pretty light scent. Subtle and a little sultry at the same time. OCD Hand Sanitizer in Glitz & Glamour- I absolutely love their OCD hand sanitizers. I have so many of them around the house and in the car. They all smell so good, too. I do wish, however, that they would stop putting glitter in some of them. It's so annoying for my hands to be sparkly. I adore this scent. I love it so much, I want a Personal Space spray in it so the whole house can smell this good. It's wet moss, woods and vanilla. And it's a deep, slow breath of indolence. Whipped Cream in Tommy Guns & Baseball Bats- This is their signature moisturizer. I'm not particularly fond of it. I find it a little... greasy, maybe. And this round, there is barely a scent to it. It's supposed to smell like apple pie, cinnamon, nutmeg, brown sugar and marshmallow fluff but I can't smell a thing. I'm sad because I love those smells! If this was supposed to hit you like a ton of bricks (or a bat), it failed. 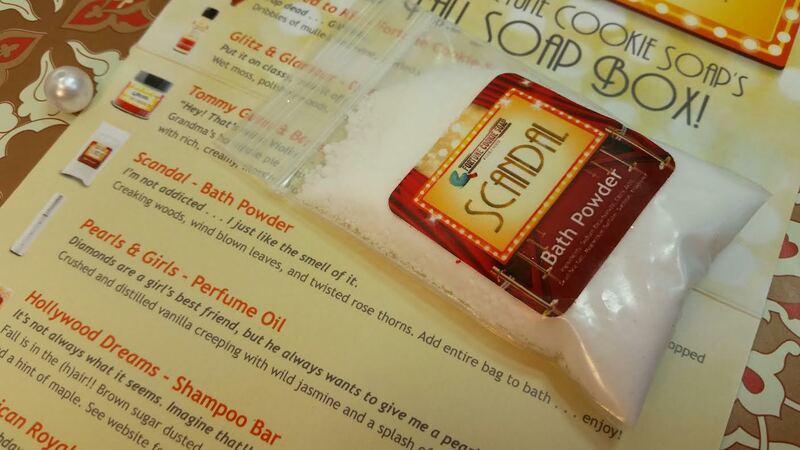 Bath Powder in Scandal- I don't take baths but I'm not against using this in a sachet and tossing it in a dresser drawer. I like this scent, too. It's leaves and roses and is warm and spicy at the same time. 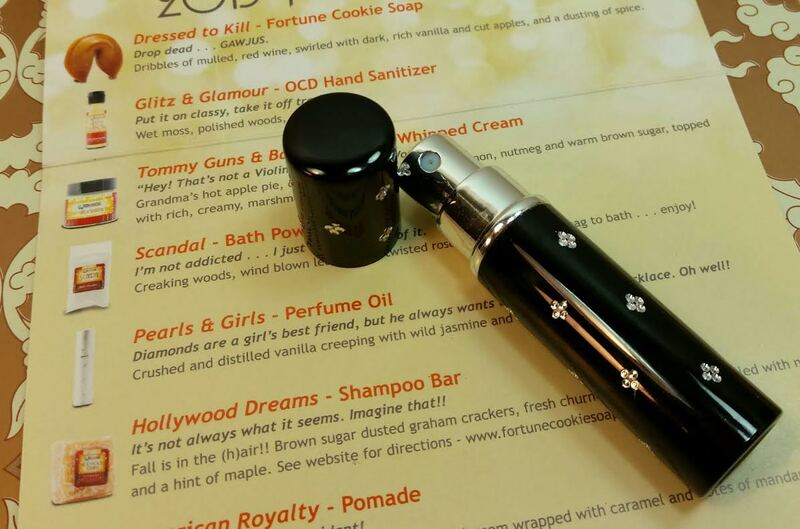 Perfume Oil in Pearls & Girls- Well, I'm a believer in every girl having a string of pearls. They never lose their class. This is a mixture of vanilla, jasmine and pear. It's sweet and the dry down seems a touch musky. It's not super strong and needs to be reapplied through the day but it's delicious. Shampoo Bar in Hollywood Dreams- Speaking of delicious. Speaking of fall. Speaking of pie and cider... Thiiiissss is everything you ever wanted on a crisp Fall evening. Except it's for your hair! Many people swear by FCS shampoo bars so I'm excited to try this. The scent? I can't stop drooling. Brown sugar, graham crackers, apple butter with nuts and maple syrup. Yes. You'll want to eat your own hair. Keep those ends out of your mouth! 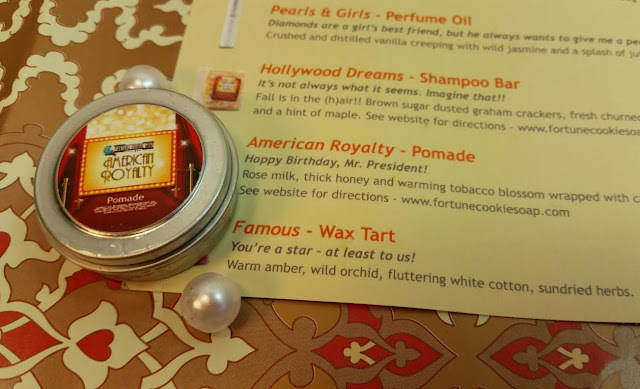 Pomade in American Royalty- I... pomade? Okay, it's for your hair. It's made of beeswax, shea butter, a bunch of oils and fragrance. It's floral yet theres a hint of tartness from mandarin, warmth from the honey and caramel. I feel like there's a hint of cherry in there but there's no mention of it. Wax Tart in Famous- My FAVORITE scent in the box!! I want everything in this flavor. 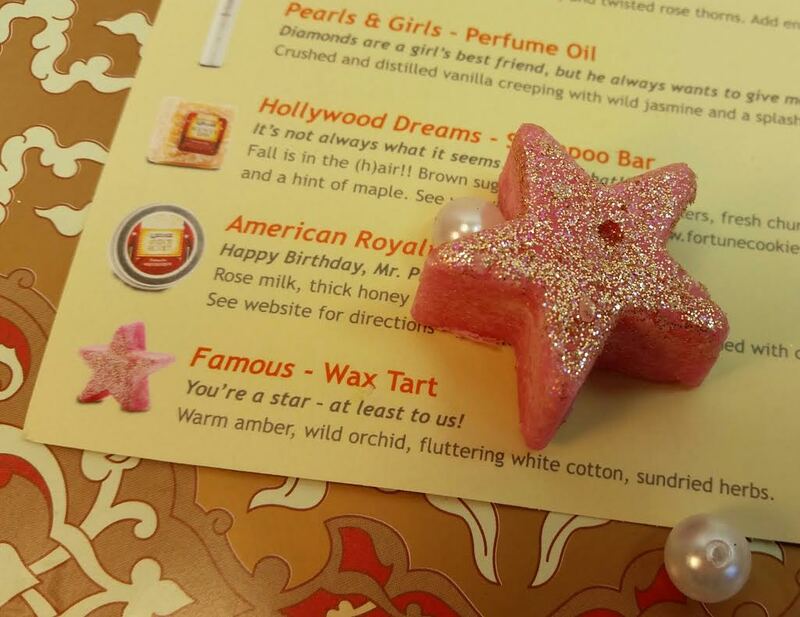 And, omg, I love wax tarts! This one is adorably star-shaped and somewhat annoyingly glitterful. Hopefully there's no issues with clean up. But this is scented like warm amber, wild orchid, cotton and sundried herbs. I have no idea what half of that means but all of it together leads up to one utterly fantastic scent. It's slightly sweet but tempered really well. I want to smell like this forever. I'm going to get Personal Space Sprays, Linen Sprays and OCD hand sanitizers in this scent. I am enamoured. How is that for an Old Hollywood word? 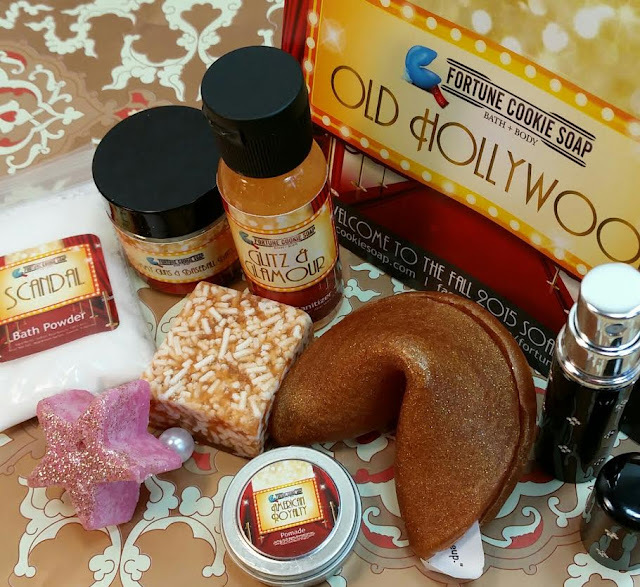 If you would like to sign up for the Fortune Cookie Soap Box, the Fall box is sold out but you can get in line for Winter. Sign up here. If you're desperate to get your hands on some of these lovely scents, they'll be launching on August 21st at 6pm (I'm pretty sure it's EST). These things go SO fast so you really need to be online when they open the shop up. It's a little insane. If you shop, you can use my referral link for $5 off of $30. Not a super awesome deal but definitely better than nothing. It cannot be used on the Soapbox itself which is a bummer. 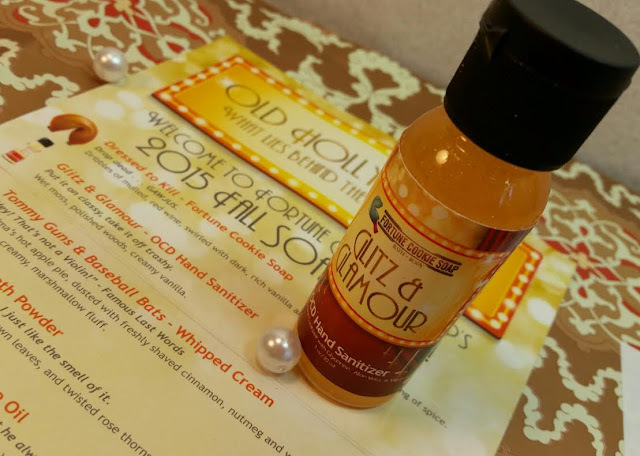 If you're into Linen Sprays, I recommend Twisted Tea Party. I love it so much. 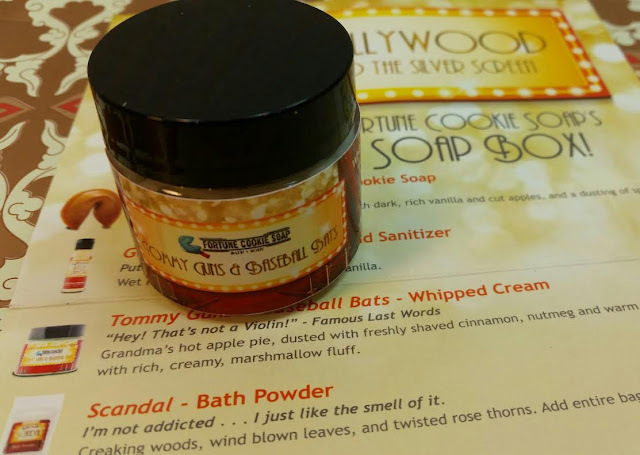 *referral link was used in this scenttastic post. I totally tried it yesterday and I loved it!! OMG my hair smelled SO good all day! Plus, sudsy goodness. I might have to figure out a way to get Twisted Tea Party in a shampoo bar.